Long before the advent of automatic cameras, in 1874 to be precise, a young draughtsman used his ingenuity and artistry to create photographs which were to compete with traditional painting and replace many other forms of printing art. The man was Lala Deen Dayal. The year 1874. A significant year for he decided to trade a lucrative career in civil engineering for professional photography. And this in an age that saw with the help of gas lamps after dark, of primitive equipment and simple techniques. Despite the constraints and difficulties he encountered, Deen Dayal had the determination and acumen which soon established him as the high priest of Indian photography. Lala Deen Dayal was born at Sardhana near Meerut in 1844. He received technical training at Thomson's Civil Engineering College at Roorkee. In 1866 he became an estimator and draughtsman in the Department of Works Secretariat Office in Indore. During the course of his job he developed a keen interest in photography and was encouraged by Sir Henry Daly, the Agent to the Governor General for Central India. Sir Henry assigned him the task of photographing the royal visit of the Prince of Wales in 1875. 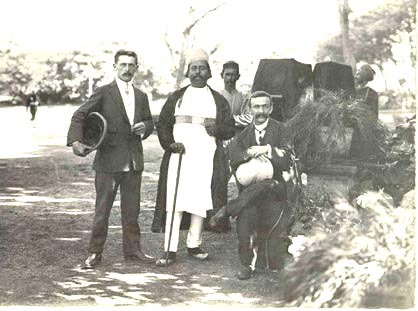 Impressed by his talent, Sir Henry took Deen Dayal along with him on his tour of Bundelkhand. In 1882-83 Deen Dayal again toured Bundelkhand with Sir Lepel Griffin who was then the Agent. Eighty nine of his photographs of palaces, forts and temples in Gwalior, Khajuraho, Rewa and Sanchi were splendidly reproduced by the Autotype carbon process in Sir Lepel Griffin's Famous Monuments of Central India (London 1886). The year before this book was published Dayal had the opportunity to photograph the Viceroy Lord Dufferin and Lady Dufferin. So pleased were they with the pictures that Dayal was appointed photographer to His Excellency the Viceroy. Deen Dayal's reputation as an outstanding photographer was confirmed and he decided to resign from government service and devote full time to photography as a career. 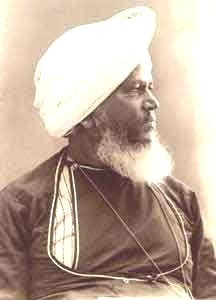 As a result of a letter from the Viceroy, in 1885, Dayal was appointed court photographer to the Nizam of Hyderabad. He moved to Hyderabad and with shrewd business acumen opened a photographic studio at Secunderabad, at that time the largest military cantonment in India and a potential source of endless orders for portraits. In Princely India, the Nizam was one of the richest and most colorful personalities. The wealth, power and influence of Mir Mahbub Ali Pasha, the sixth Nizam of Hyderabad ensured Dayal's pre-eminence. Deen Dayal meticulously recorded the Nizam at ceremonial parades, receptions, hunting expeditions and banquets. He photographed his lavish palaces, richly carpeted, hung with velvet drapes and glistening chandeliers. 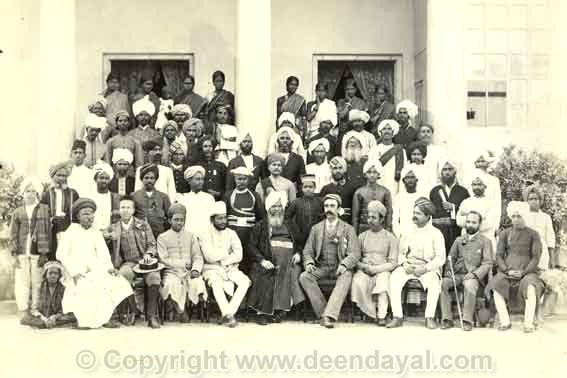 The Nizam was frequently host to visiting European dignitaries like the Czar of Russia, Crown Prince of Germany etc. Deen Dayal recorded their visits sitting in formal groups, at banquets, standing on the palace steps, on hunting expeditions. 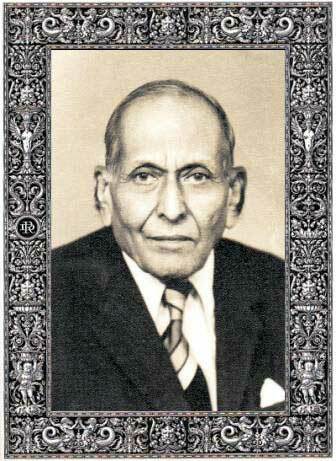 So pleased was the Nizam that he bestowed a fiefdom and the title of Raja Musavir Jung. Dayal had created a special niche for himself in the hierarchy of the Nizam's coterie. His studio in Secunderabad was frequented by gentry and commoners who went away impressed and satisfied with their portraits. A little more than a decade after he had taken up photography, Dayal was acclaimed as a Master photographer, a pioneer and leading exponent of Indian photography. In 1893 his display of views of India received a special award at the World Colombian Exposition in Chicago. This was followed by several awards at photographic exhibitions held in Jeypore, Calcutta, London and Poona. Testimonials, appointments and letters of appreciation flowed profusely. In 1897 Queen Victoria granted the firm a Royal Warrant. Dayal's services were sought by several Princes and prominent figures. He became a formidable rival to such well established commercial photographic firms as Bourne & Shepherd, Johnston & Hoffman, Hertzog & Higgins. He accompanied Lord Curzon on some of his Viceregal tours, photographed the Delhi Durbar of 1903 and followed the Indian tour of the Prince and Princess of Wales in 1905. Dayal spent upto 18 hours daily, taking photographs, developing them, organizing surveys for documenting the geography, the architecture, the ruins, the people of his beloved India. Invariably he prepared albums, then and now, the most sought after because they contained the perfect balance between the exotic and the romantic, the beautiful and the bizarre that makes India gorgeously Indian. The images contained herein just about touch the fringe of his massive achievement- a lifetime of devotion and dedication to photography resulting in an enormous archive, much of which has been lost to the ravages of time. But the gems that remain are enough to" feast our eyes" on the banquet of Deen Dayal's immortal work. He worked hard and displayed an extraordinary commercial ability, which was a vital prop to his inborn artistic feeling. It is fortunate that it was so because his meticulous categorising and referencing of every single piece of his work, bespeaks the man; the neatness, the care, the outstanding technical excellence, all contributed to his tremendous commercial success. Before the century was out, the firm of "Raja Deen Dayal & Sons" had flourishing studios at Bombay, Indore and Secunderabad with clientele featuring the cream of society, with medals galore, royal appointments and recognition In 1892 he opened a zenana studio in Hyderabad under the supervision of Mrs. Kenny Levick, wife of the Times correspondent who was also editor of Deccan Times. Here women in purdah felt safe and secure to be photographed. The Deen Dayal studio employed over 50 people including his two sons - Lala Gyan Chand and Raja Dharam Chand. The glory of Lala Deen Dayal was shadowed by the idiosyncrasies of time and tide. He reached the peak of his career and prosperity at the end of the 19th century. The new century witnessed the emerging of problems for the family and the firm. Problems of health, finance and patronage. The massive empire built up by the Lala began to crumble with the death of two of his sons – Dharamchand and Dhyanchand, rather early in life. When, Raja Dharam Chand died in 1904, Deen Dayal found it difficult to manage the Bombay studio and his own health was failing. Very little is known about Dayal’s wife whose death preceded his own by just a few months. Failing health and problems led to the demise of the grand old man of Photography in July 1905 at Bombay where he had probably come for treatment. The Bombay studio however continued for another five years before it closed down. The third son Gyanchand held the firm in place until his premature demise.Raja Gyan Chand struggled to keep the business going through very difficult times. With the death of the sixth Nizam and withdrawal of privileges and monies, the firm's fortunes declined. Among the major jobs which were executed during this period were life size oil paintings of Their Imperial Majesties King George V and Queen Mary, supplied for the reception hall of Falaknuma Palace, 84x48” oil paintings of Narendra Pershad Bahadur and Maharajah Kishen Pershad Bahadur executed by a French artist. Not only did the firm specialise in oil paintings but other special forms of photographic art like porcelain photos and opalines for which the raw material had to be imported from England. The lenses used by the firm were specially manufactured to their specifications by Dallmeyer of London. On the camera lenses is the engraving: “specially made for Raja Deen Dayal & Sons. 1889”. Execution of these jobs involved major outgoing payments. The funds came but not before the creditors had sounded the death knell of the firm and grabbed all the assets they could lay their hands on.Gyan Chand died in 1919, when his sons were only in their teens with no elder to support them and guide them. Very little is known about the years between 1920 and 1930. The photographic business founded by Lala Deen Dayal was continued by his grandsons of whom Shri Ami Chand was the youngest and took a keen interest in photography. While Hukumchand managed commercial aspects, Amichand devoted all his time to the technical operations - dividing time between shoots, the darkroom and handfinishing of prints..
To him goes the credit for preserving the remarkable photographs that survive. Ami Chand had to his credit 65 years of devoted service to the art of photography. Ami Chand expired in 1984 after having witnessed the outstanding success of Deen Dayal exhibitions in Bombay, Pune and London.between 1979 and 1982. 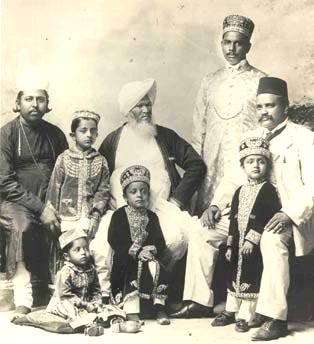 His sons continue in the photographic business with studios in Hyderabad. If there is one individual modern generations have to thank for still being able to glimpse the wonders of Deen Dayal's magic - it is AmiChand Deen Dayal. Through all his trials and tribulations and the onslaught of the ravages of time, he persevered to present Deen Dayal to the future generations. Almost a century later Deen Dayal's glory has been brought to the Web by his great grand daughter Hemlata Jain. 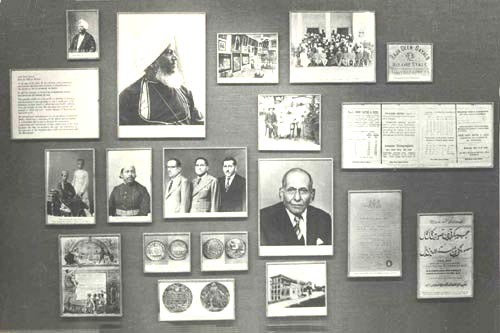 With a view to preserving the rich Deen Dayal legacy and lack of resources to preserve the heritage, which was facing deterioration, the family accepted the offer of the IGNCA to acquire the collection, house it properly, set up a permanent display and make the material available to scholars and researchers of photography, history and art. 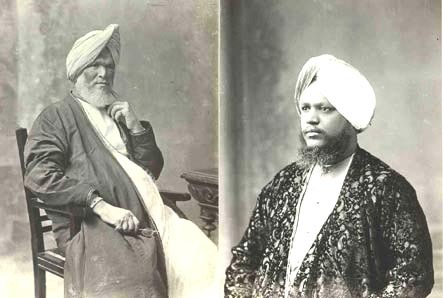 The sons of both HukumChand, Ami Chand and Trilokchand continued in the photographic business with studios in Hyderabad and Secunderabad. The fifth generation is now involved in photography with numerous other studios which thrive in the twin cities. As a matter of fact the widespread prevalence of photographic business in Hyderabad could be attributed to the early start there and the successful dominance of Deen Dayal over several decades.